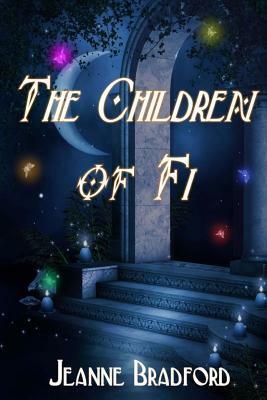 In this exciting follow-up to The Mage Sister, Arinda and Jahx are married, but Jahx has been troubled by bad dreams. They’ve spent several months together to let their magic blend and settle, and their love for each other grows. During that time, Arinda hatches a plan to start a school for magicker girls, right alongside the one for boys at Vespith academy. Of course, she’s met with stiff opposition, but this is Arinda, and she’s determined to get her way. As word gets out about her her work, Nathan receives a notice from Chilharia that they are interested and excited about setting up a girls’ school. Not long after, Tenaria follows suit, but the prospect of visiting alarms King Nathan. While Chilharia is on good terms, Tenaria is just short of openly hostile. Jahx flies into a rage, refusing to go and demanding that Arinda stays in Rowan as well. Despite Jahx’s disagreement and refusal to let Arinda go, Nathan wins the argument. Jahx, Arinda and the rest of the Royal party embark on a journey that seems innocent enough, but the Danforth family of Tenaria is known to be overly ambitious, even dangerous. What was supposed to be a pleasant exchange of ideas becomes something so terrible that it could rip Kynllaria apart. Jeanne Bradford brings back some of the best characters from her first book and introduces us to new kingdoms and their people. I do recommend that you read The Mage Sister before Children of Fi. The events of the first book shape some of the events of this sequel. There’s also a good deal of history revealed here, expanding on the reasons which drove the legendary Fiaryn and his followers to abandon their old world and take the gate to Kynllaria. The conflicts and revelations of the past are a driving force in this novel. Cullen, the Master Healer of Rowan, is both a friend and defender of Arinda’s plan to educate girls in magic, and his experience with, and connections to Tenaria play a key role in the story. Jahx battles his past and Nathan fights for the future. Nathan’s wife, Queen Catherine, also proves to be a woman of strength, cunning, and devotion. As with the first book, sometimes the bickering and temper tantrums get to be a bit much, but in one case, one of those temper tantrums turns out to be a good thing! As the group from Rowan traverse the other kingdoms, they meet new friends, old enemies, and uncover secrets and spies within their midst. Posted on July 15, 2016, in Book Reviews, Four Stars and tagged action, adventure, amazon books, author, book, book review, books, danger, ebook, fantasy, fantasy book review, fiction, fighting, jeanne bradford, literature, mage, magic, magicker, mystery, publishing, reading, review, reviews, romance, stories, the children of fi, the mage sister, writing. Bookmark the permalink. 1 Comment.